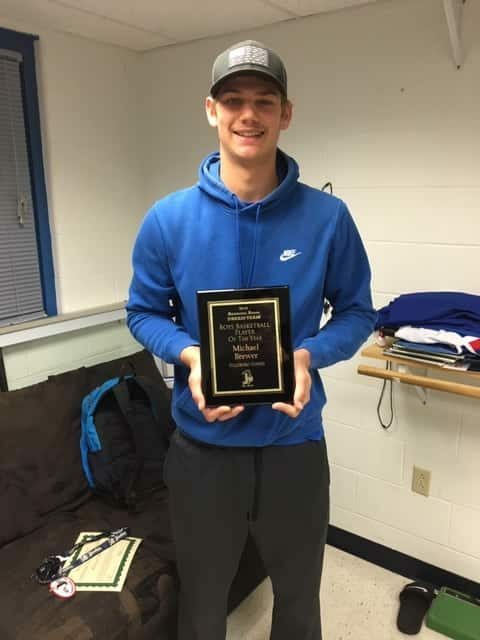 (HILLSBORO) Hillsboro hoopster Michael Brewer earned Regional Radio Winter Dream Team Co-Player of the Year after leading the Hawks to their 3rd consecutive district championship. Brewer shares the award with Farmington’s Tycen Gray, someone he’s quite familiar with. One of Brewer’s greatest influences while at Hillsboro was former teammate Gaven Pinkley. Brewer will certainly miss being at Hillsboro. Brewer averaged 21 points and 11 rebounds a game this season while also dunking the ball 36 times. For his career, Michael Brewer scored 1,746 points, 4th all-time in Hillsboro history, grabbed 966 rebounds, good for 3rd all-time, and tallied 93 wins as a varsity starter, the most in program history. Other career accomplishments include 4-time JCAA All-Conference, 4-time All-District, 3-time Dream Team, and 4-time JCAA conference champion. Brewer will be playing baseball at NCAA’s Division 1 Southern Mississippi. Full interview is on the Dream Team page.